Choose the section (woman, man, kids) and then the product type (Tee, jacket, etc). View the products you are interested in and click on the photograph and see reference size chart, color and price. Are the online store prices the same as those in my usual SUGARMAN store? If you’ve forgotten your password, you can recover it in the Log-in section. Enter your e-mail address and we’ll send you an e-mail telling you what you need to do. Yes. You can contact our customer service at info@sugarman.com.hk . If you were to accidentally receive an item that you did not order, please contact our customer service at info@sugarman.com.hk . – The card may have expired. Check that your card is still valid. – You may have reached your credit limit. Contact your bank to check that you have not exceeded the authorized purchase limit. – You may have entered some information incorrectly. Check that you have filled in all the required fields correctly. Yes, Pay with PayPal using your credit or debit card. It offers a secure way to pay and help keep your financial details secure. All the shipments will be sent directly to the address you selected. SUGARMAN* does not have a return policy, but we pleased to provide the exchange service for you.For the current shipping destinations, please send us the item via registered mail only. If the exchange is due to SUGARMAN* fault, courier charges will be paid by SUGARMAN*. For all other reasons, you will have to pay for the courier. The exchange product must be in unused condition and in original intact packaging, together with all tags still attached, labels and seals intact, accessories, undamaged and in good shape. If we deem the condition of the exchange item is unsuitable for resale, SUGARMAN reserve the right to refuse exchange of the product. SUGARMAN* reserves the right to reject returns sent or communicated beyond the return period limit, or items which are not in the same condition in which they were received. *If there is any in doubt, please contact us at info@sugarman.com.hk . Contact our customer service and we will solve the problem as quickly as possible. please contact us at info@sugarman.com.hk . 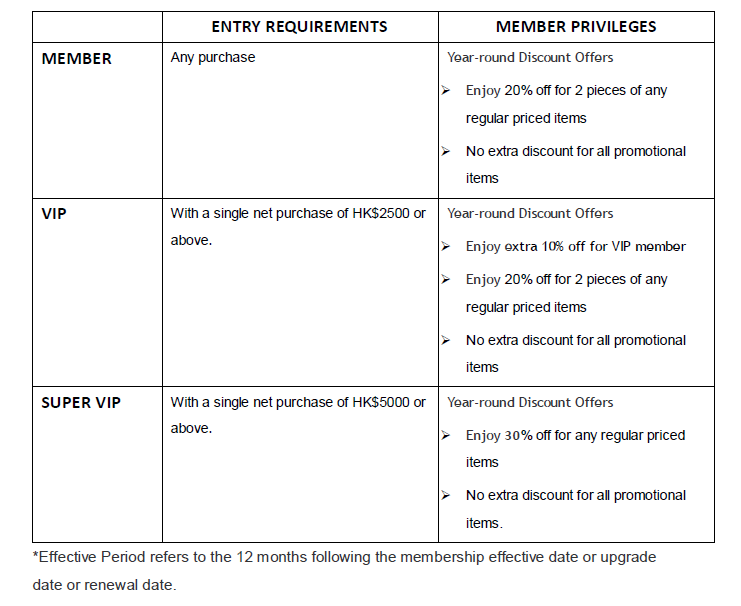 SUGARMAN.COM.HK reserves the right to reject returns sent or communicated beyond the return period limit, or items which are not in the same condition in which they were received. If the exchange is due to SUGARMAN* fault, courier charges will be paid by SUGARMAN*. For all other reasons, you will have to pay for the courier. The exchange product must be in unused condition and in original intact packaging, together with all tags still attached, labels and seals intact, accessories, undamaged and in good shape. If we deem the condition of the exchange item is unsuitable for resale, SUGARMAN reserve the right to refuse exchange of the product. You may exchange products within 7 days after receipt of the order (based on the delivery record), and upon pre-approval of our customer service representative. All merchandises including price tag and packaging should be in its original good conditions that it can be sold again. What are the non-returnable / non-exchangeable items? Which internet browsers should I use to view the SUGARMAN* web page correctly? Is it safe to shop on SUGARMAN* online?